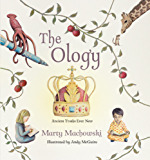 Filled with adventure, suspense, drama, and mystery, the gospel story easily captures the attention of children. Even better, the gospel story gives life. We are saved and our children are saved as we review the story of the gospel. So why do so many well-intentioned parents give up on family devotions—deciding that reading the Bible as a family must only be for “super parents.” The truth is that there are no super parents. We all struggle, and we all need help to stay on course. 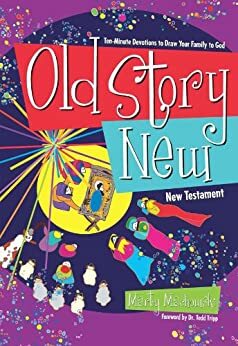 Old Story New makes it easy for parents to stay on the life-giving course of sharing the gospel with their family. Marty Machowski is a Family Life Pastor at Covenant Fellowship Church, a Sovereign Grace Ministries church in Glen Mills, Pennsylvania, where he has served on the pastoral staff for over twenty years. 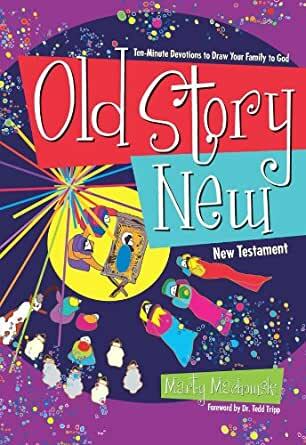 He is the author of The Gospel Story Bible; The Gospel Story Curriculum (OT); and Long Story Short, the Old Testament companion devotional to Old Story New. He and his wife Lois and their six children reside in West Chester, Pennsylvania. 5.0 out of 5 starsGotta buy this one!! It’s awsome! Love this book!! My kids range in age from 9 up, and it’s great for all of them! Engaging format, not too long but thought provoking. Love how he ties it all together! 5.0 out of 5 starsRead the Bible as a Family. This is Fantastic! If you have children you should be reading the bible and praying with them every day. This resource is one of the best on the market for families to do just that. 5.0 out of 5 starsMy 7 yr old son loves it! We love this nightly devotional! We end up doing more than one ~ more like 3-4 per evening cause the kids can't get enough of God's word. At first I thought it was a bit pricey until this huge book showed up, filled with great questions that go along with their corresponding bible passages. It has brought family time back to our family.